The Grandview area southeast of Durango will continue to change in the coming months. Developers plan to build dozens of homes, businesses and two churches on the south side of U.S. Highway 160. Roads, curbs and infrastructure are in place on the south side of U.S. Highway 160 in the Grandview area, across the highway from Three Springs subdivision. Construction crews have been moving dirt in the Grandview area in preparation for a large development that will change the face of the commercial corridor. Developers plan to put 61 single-family homes, 92 townhomes and two churches on the south side of U.S. Highway 160, across from Mercy Regional Medical Center, planning documents show. 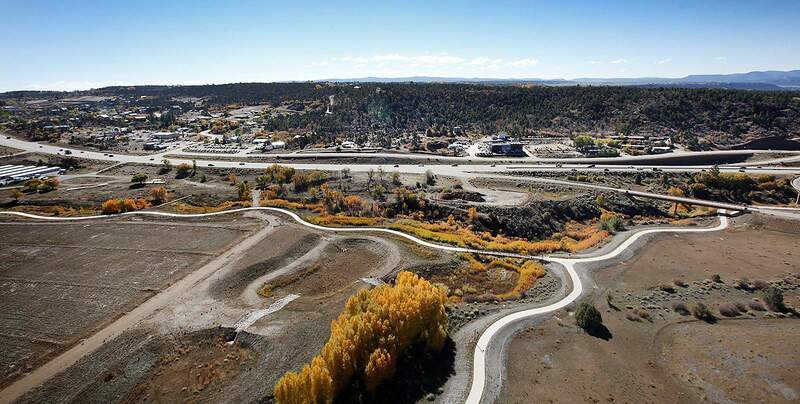 The new development, called Elevation Park at Hope Springs, is going up in one of the three remaining areas targeted for significant growth, according to the city of Durango’s comprehensive plan. The dense housing project is possible because it will be served by city water service and the South Durango Sanitation District, said Jason Meininger, planning director for La Plata County. While the development is within the county, the city is requiring developers to build the area largely to city standards as a condition of receiving water, so the city can annex it at some point, he said. In addition to residential growth, the Grandview area is planned to be home to big-box store development on the north side of U.S. Highway 160 along Wilson Gulch Road. The Growth Fund Real Estate Group, a Southern Ute Indian Tribe company, is approved to build 256,000 square feet of commercial space along the road, and additional development is also expected along the corridor. On the south side of Highway 160, Meininger said he expects most future growth to be businesses as well. However, Elevation Park at Hope Springs is planned to cover 33 acres largely buffered from businesses by other homes. Phase 1 of the project – which includes 45 single-family lots, six multi-family lots (to include 24 units), two lots for churches and 3 acres of open space – is already under construction, said Paul O’Neil, project manager with Russell Planning and Engineering. 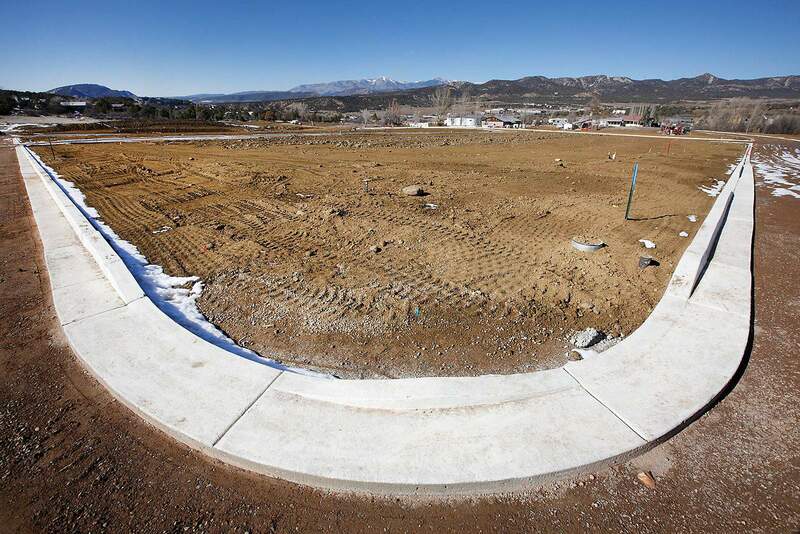 Phase 2 of the project, which will add 16 single-family lots, 68 multi-family townhome lots, commercial development and 3.58 acres of open space, has yet to receive final approval from the city of Durango and La Plata County, O’Neil said. A joint planning board made up of representatives from both governmental entities makes it a bit more onerous for developers to get projects approved, he said. “Getting them both to agree to the same things and the same timelines, that’s the tricky part,” O’Neil said. The Elevation Park at Hope Springs project began in 2015 when developers Hope Springs Durango LLC, New Hope Church and First Baptist Church of Durango went before the joint planning committee with their plan for an 18.5-acre parcel located southeast of the intersection at Three Springs Boulevard and Highway 160. The developers sold the rights to residential development in 2017 to Woodbridge Durango LLC – a company that initiated the second phase of the project in October. Developers have yet to decide on a price point for the homes, O’Neil said. Construction crew CRG Construction, based in Bayfield, has installed and equipped the eastern part of the property – Phase 1 – with water and sewer, storm drains, curbs and gutters and a sub grade, O’Neil said. The project manager said crews have slowed their progress as the fall days have brought colder weather. The plan is to have sidewalk and street concrete laid by spring. Construction of the homes at the site could begin by spring, although how long it may take to build all the structures is unclear, he said. The homes could be built by the end of 2019, but it could take three to five years, O’Neil said. The cost of the properties will depend on market values, he said. Phase 2 of the project has gotten conceptual approval from the joint planning board. The next step is preliminary approval, which is “pretty much total approval,” O’Neil said. The date of the preliminary approval hearing has not been scheduled, he said. bhauff@durangoherald.com. Herald staff reporter Mary Shinn contributed to this story. Should government fund infrastructure to jump-start development?